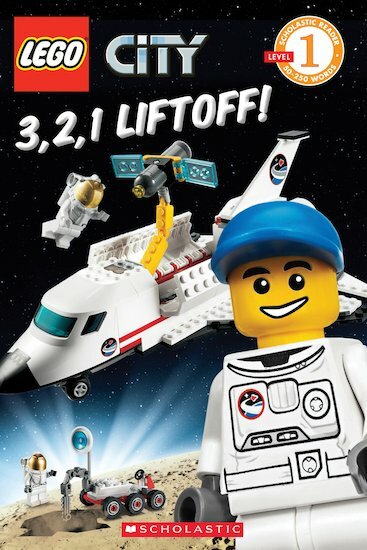 LEGO® City: 3, 2, 1, Liftoff! The LEGO City astronauts are ready to zoom into space. But before their shuttle can blast off, there is a lot of work to do! The spaceship must be checked over, the launch pad must be prepared, and the astronauts must be strapped in. How long before they can say “Lift off? A thrilling early reader packed with colour pictures from the exciting world of LEGO City. Part of the first level of the popular Scholastic Readers scheme, this book is ideal for beginner readers who are becoming familiar with sight words and simple sentences. NC430L Lexiles are the global standard in reading assessment. They are unique as they are able to measure a child and a book on the same scale – ensuring the right book gets to the right child at the right time.